How does sexual harassment remain entrenched when all condemn it? How does sexual harassment remain entrenched when we all condemn it? 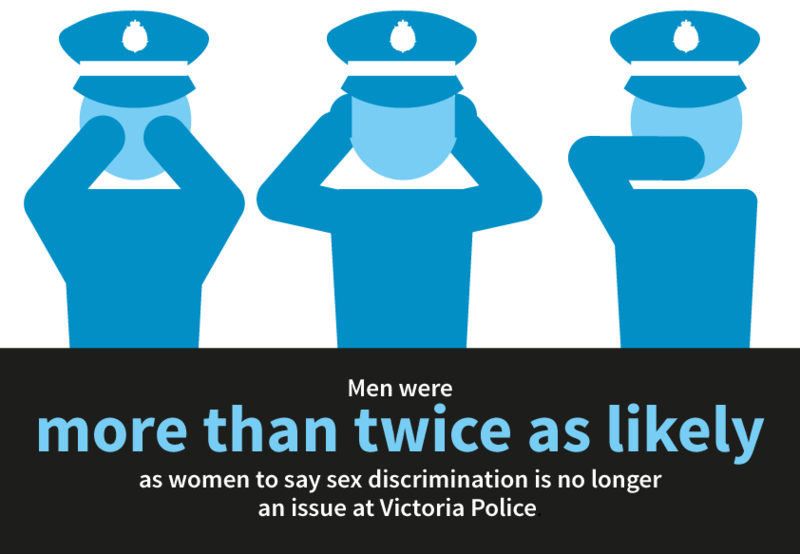 Victorian female police officers report more sexual harassment than women in the general public, according to a just-released report by Victoria’s HREOC. At a time of unprecedented action to prevent violence against women, and of increased acceptance of women in non-traditional work, this comes as shocking news. How is it that we can be so vocal against violence towards women, yet the very law enforcement agency we rely on has an ‘entrenched culture of sexual harassment and discrimination’. Understanding the process of backlash provides some insight into what’s going on. People are motivated to maintain self-esteem and their sense of identity in social interactions, and cultural stereotypes including gender beliefs are a critical part of identity. 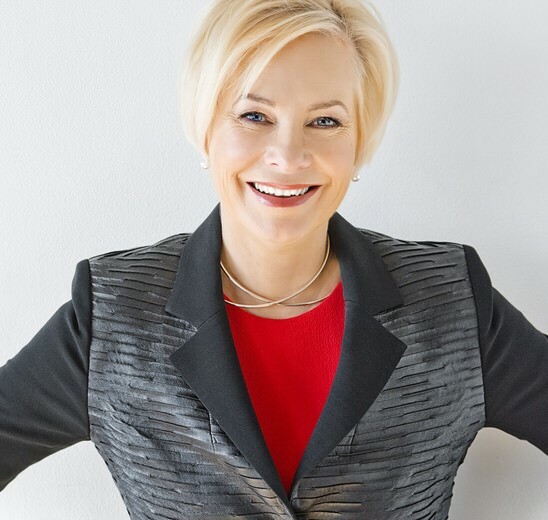 Initiatives that support women becoming senior leaders, or working in non-traditional work roles such as policing, challenge our sense of identity by promoting behaviour that deviates from stereotypes, creating an expectancy violation. Women themselves understand that backlash is a possibility if they behave outside of gender prescriptions. 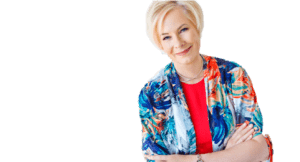 Fear of backlash does two things – firstly, it can prevent behaviour that deviates from prescriptions, so women stay within gender prescriptions. Secondly, if they do behave in ways that violate gender prescriptions, women then engage in recovery strategies. 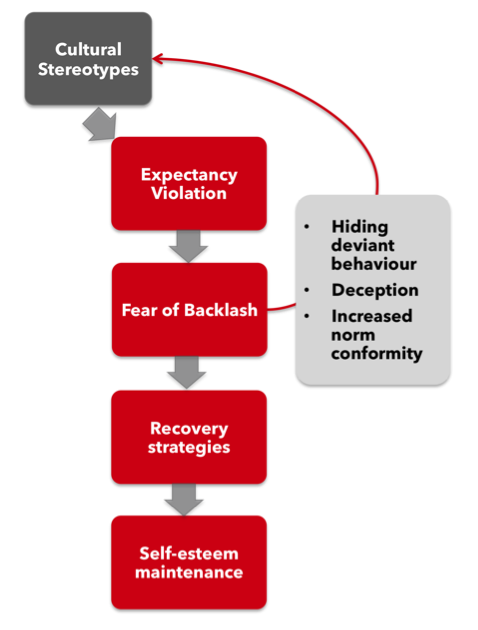 Recovery strategies include hiding or minimizing their ‘gender-deviance’: they may lie about their behaviour, hide it or engage in particularly stereotypical behaviours to win back approval. Recovery strategies both serve to reinforce stereotypes and enable people to maintain their sense of belonging to the group and therefore, maintain their self-esteem. When people witness acts that violate stereotypes, they feel justified in taking punitive action, such as dislike or even harassment. For example, people can believe it is within their rights to put women in their place, including when they are evaluating others in hiring decisions or performance ratings. And their self-esteem improves when they do, that is, people feel better about themselves when they apply penalties for gender-deviant behaviour. The fear of backlash works for both genders, and also prevents men from appearing more ‘feminine’. Penalties apply to men who engage in stereotype-deviant behaviour. Research has shown that when men believe they are seen as more feminine, a common recovery strategy is to show stronger support for and engagement in physical violence, from wars to domestic violence. For some men, having power over a woman appears to increase the likelihood of unwanted sexual attention. Some men attempt to resist changes in the balance of power and status as organizations and leadership become more gender-balanced, and it is the men who are most powerful and dominant who are most likely to commit sexual assaults against women in the workplace. At both cultural and personal levels, sexual violence is related to men’s display of dominance. Women who display more assertion, dominance and independence experience the most sexual harassment. And women who work in male dominated organizations are harassed more than women who work in female-dominated organizations. The basis for the harassment is a hostility to the violation of gender ideals, rather than sexual attraction. This may explain why there is increased sexual harassment within the police and defence forces than in the general population. ‘Atypical’ men and women are consequently less visible and so there are fewer vanguards that challenge cultural stereotypes and fewer role models to provide a broader view of behaviour. As in this report, employees will generally deny there is unequal treatment in their organization or attribute differences to external factors that have nothing to do with the organization’s actions.